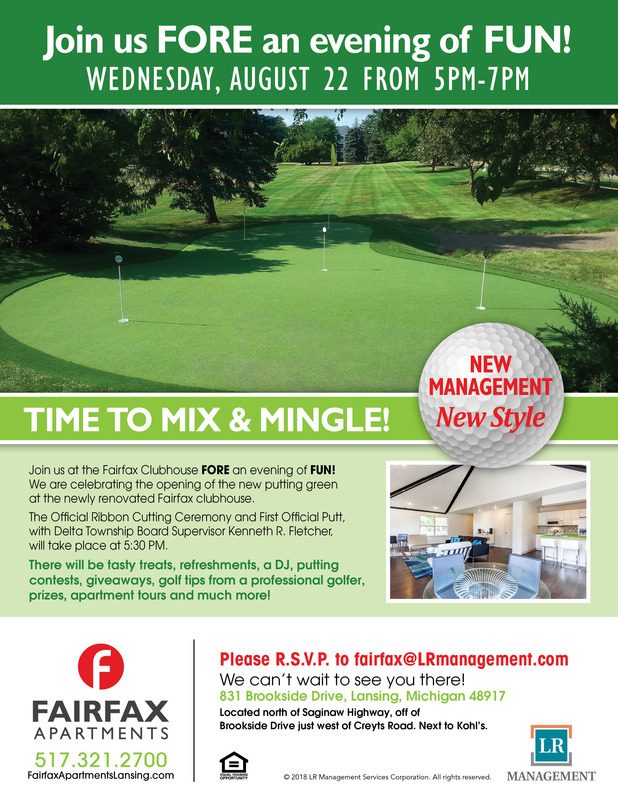 Please join us Wednesday, August 22nd from 5-7 pm at the Fairfax Clubhouse FORE an evening of FUN! We are celebrating the opening of the new putting green and clubhouse. The Official Ribbon Cutting Ceremony and First Official Putt with Delta Township Board Supervisor Kenneth R. Fletcher will take place at 5:30. There will be tasty treats, refreshments, a DJ, putting contests, giveaways, golfing advice from a professional golfer, prizes and much more! Please R.S.V.P to [email protected] We can't wait to see you there! !